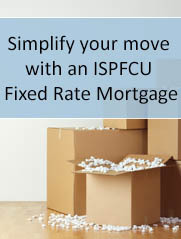 Add the perfect complement to your ISPFCU Checking Account by signing up for Club benefits today! ISPFCU Club members receive even more benefits to their ISPFCU Checking Account at the low cost of only $5.00 per month! Benefits include a $10,000 Accidental Death Insurance and a $5,000 Identity Fraud Expense Reimbursement Coverage. Additional benefits include Debit Advantage coverage that covers items for 90 days from the date of purchase against accidental breakage or theft and an Extended Warranty plan that extends the U.S. manufacturer’s original written warranty up to one full year on most new retail purchases if the warranty is less than five years. Yet another benefit is an Entertainment® SaversGuide® that lists thousands of hotels and restaurants where you can obtain discounts by showing your SaversGuide Membership Card. The directory also contains discounts to movie theatres and money-saving coupons from top national merchants. Also within the Club Benefits is a Cash Back Member Rewards Program where you can earn up to $40.00 a year just by turning in receipts totaling at least $100.00 each quarter. By participating in the Cash Back Member Rewards Program the benefits almost pay for themselves! To view a complete listing of all the benefits available follow the links below. The ISPFCU Club is available for members with an ISPFCU Checking Account and the Heritage Club is available for members with a Heritage Checking Account. We are so confident that you will find ISPFCU Club benefits valuable that we will let you try them out for three months absolutely free. If after the three months has passed you decide you would like to cancel, simply notify us and we will remove you with no questions asked. Contact a member service representative at 800-255-0886 to get your access code for the Club benefits website and to get enrolled today!